If, by chance, you do not happen to be spending two weeks in Mallorca this summer, tagging along on the Post family’s vacation is the next best thing. Franny and Jim, along with their just-graduated-from-high-school daughter Sylvia, leave Manhattan behind for the sunny island off the coast of Spain. The plan is to meet up with their adult son, Bobby, and Carmen, Bobby’s “albatross of a girlfriend,” who are coming from Florida, plus Franny’s “dear friend” Charles and his husband, Lawrence. A motley crew, to be sure, but Franny is convinced they will all have a marvelous time together. As if. Even the happiest families often experience meltdowns when stuck together without their usual escapes—and this is not the happiest of families. Their relationships are as complicated as the elaborate food Franny prepares in the kitchen of their postcard-worthy vacation home. Jim is recently retired, not by choice, and the reason for his unemployment has him in hot water with Franny. On the surface, this trip was to celebrate their thirty-fifth anniversary but a darker agenda has emerged. Whether they will still be married by the time they head home is open to question. Jim’s not-so-secret secret is just one of many carried by members of the household. Bobby is hiding bad news of his own that will put him at odds with his family and his girlfriend, who never liked each other, anyway. The rest have their own issues: Charles and Lawrence are in the throes of adopting a baby, but Charles’ and Franny’s long, complicated relationship may drive a wedge between the potential fathers. Then there’s Sylvia, reeling from an unfortunate end-of-school experience and determined to lose her virginity before she goes off to college. This is a thoroughly modern family grouping, with all the “worldly” issues that implies, but they’re all likable enough despite their moral failings. The point of view bounces between all the characters in the house, which offers a big-picture view of the complex, fragile ties holding them together. Like any family, they love—and occasionally hate—each other, stomp on each other’s feelings, make up, break up, and slowly come to grips with uncomfortable realities. All this takes place against the backdrop of moonlit mountains, sunny beaches, and the occasional dark, handsome local who may help or hinder the family’s emotional journey. For all the angst and torrid emotions simmering just under the surface, The Vacationers has a calm, soothing feel to it. Maybe it’s the endless Mallorcan sunny days that make it feel that everything will come out right in the end—although there’s certainly no guarantee that it will. It could be the rhythm; each chapter takes us through one day of the fourteen-day holiday. It’s possibly the author’s slightly detached, mildly amused style and pitch-perfect dialogue is what makes this such a pleasant tale, even when descriptions of the romantic “action” offer just a bit too much detail. 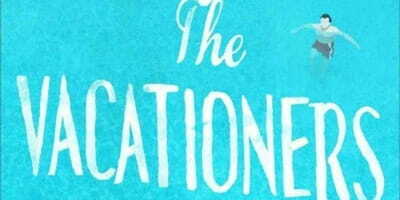 Whatever the reason, The Vacationers is a smooth read that will keep readers turning pages long after they should have turned out the light and gone to bed.